Remotely controlling a PTZ camera easily on the internet seems like something you could pay for. I have searched high and low for ways to remotely control our PTZOptics cameras from anywhere in the world. We wanted a way to allow users to recall PTZ camera presets remotely over the public internet, but also keep our cameras IP address safe on our local area network. Finally, a software company called MimoLive has come up with a great solution. You may have seen our other integration video about setting up PTZ camera control for MimoLive here. Today we will integrate our PTZOptics camera for PTZ controls but this time giving our live audience on YouTube, Facebook or Twitter controls over our PTZ Presets! 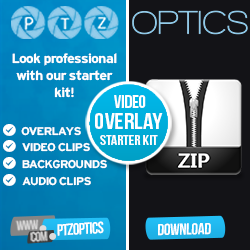 Then open a layer called “PTZOptics Camera Controller”. Here you can setup your presets.